Love robots? Maybe you want to be a robotics engineer when you grow up. Robotics engineers work in all kinds of industries. 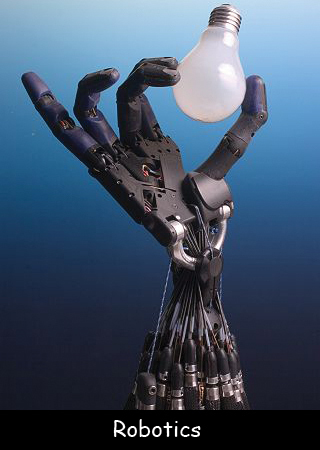 Imagine creating a robot that could help perform delicate surgeries. Or a robot that could work in dangerous situations, such as under the ocean. Robotics engineers love math and science. Algebra and trigonometry are especially important. Knowing computer coding is also a good idea. Robotics engineers usually have a bachelor’s degree in some type of engineering, such as mechanical engineering. Some have master’s degrees in robotics engineering. Some robotics engineers work on creating robots. Others design machines that create things, such as 3-D design. Robotics engineers might work in medical or scientific industries. Some do research or maintain equipment. Robotics engineers can work in government, military, or private industries. They typically work in office or research settings and earn around $100,000 a year. Question: What should I do if I want to be a robotics engineer? Answer: Spend lots of time building and exploring now. Join an afterschool science or robotics club to see if robotics is right for you. Use building sets to construct things. Spend time in nature observing. Ask questions and solve problems. As you get older, sign up for challenging math and science classes. But don’t forget other interests like music, art, literature, and sports. Watch a short video about being a robotics engineer. Declan, Tobin. " Robotics Engineer Facts for Kids ." Easy Science for Kids, Apr 2019. Web. 25 Apr 2019. < https://easyscienceforkids.com/robotics-engineer/ >.